Knowledgeable in the fine arts is something one cannot call me. Nevertheless I have read Paulo Coelho’s the Alchemist and I am aware of that he has received used to think that he had received the Nobel Prize in literature. Monday evening Martin Källström reported from the Digital Life Design (DLD) conference in the super(secret) PPlist. According to DLD it is ”Europe’s conference for the 21st century, covering digital innovation, science and culture”. Martin was there, and according to another member of the list he was ”typing every second”. So, here is my first point. Martin is educated , connected, and social. Even though he is in a meeting – he is conversing with the outside world. If that was not the case you would not have read this. Beyond that he is an entrepreneur (co-founder of Primelabs, commented by Techcrunch yesterday). Martins report was one of the best of its kind (wide coverage, broad, quick, short, and focused). I found value in every word. Let me share what Martin wrote about Paulo Coelho’s session (I got Martin’s permission to republish it here). Coelho (conference bio) presented in the Creating Universes track. Ignore Martin’s typos, this is not an excercise in English, it is immediate reporting. Hopefully DLD will publish videos from the sessions, including Coelho’s, in the near future. ”For books, the Internet has an impact in three areas: Language, Distribution, Social Interaction. Some people think that internet destroys or deteriorates language with people writing 4 instead of ”for” or U instead of ”you”. But language is a living thing, I do not think internet is destroying language. And the fact is that people are reading more now than they ever hav done. And writing more, in emails and IM and so on. I use internet for distribution. I released one book exclusively on the internet and we had an amazing 1 million downloads. But even though this is a very high number, I didn’r receieve a single comment on the book. No one was actually reading the book, In 2001 we had really no readers in Russia. My best seller The Alchemist was selling a 1000 copies per year. And then it was pirated on Bittorrent and people started to download it. The next year it sold 10 000 copies, the next year 100 000 copies and today we have sold over 10 million copies in Russia. But when I wanted to start to distribute my books over the Internet my publishers told me that I donät have the rights to the translations and so forth. So what I did was that I collected all bittorrents of my pirated books and put them on a website called Pirate Coelho. And I started to link to this page from my own blog, I have a link on my main page. And people are downloading my books very much trough this site. But I can’t tell this to my publishers because I don’t have the rights. So whenever they create a translation of a book to a language, say Portuguese, I ask to review it before printing and then I immediately release it on Bittorrent. I don’t know if the publishers have spotted this scheme but at least they don’t say anything. Being a writer is a very lonely business. You sit alone and write. Internet allows social interaction and through my blog I now have houndreds of thousands of people contacting me. Last year I invited 10 of my readers to a party and this year it’s going to be a hundred readers at a party in Paris. Time for my next point. It is not the Producers (publishers and authors) that are in the driving seat. This case is just another illustration. But what an illustration! And note the amount of braveness Coelho demonstrate. He must be very well aware of the dangers of telling folks outside the connected world, who through their disconnectedness probably have missed what Coelho has already done. Too many book authors refuse to both utilize what consumers are doing with their work and are afraid of letting control. Most likely that crowd include writers of educational literature. Furthermore, school teachers are obsessed by correct spelling, without respect for the dynamic evolution of Language. That is why I qouted Coelho in my gig för IPON 2008 this morning. Thank you Paul. Thank you Martin. You are more than I. As a result of your inspiring ventures We are growing. I wish political legislators would understand this view on the world, and not only the Publisher/Producers desperate attempts to preserve old thinking. Meanwhile, you can taste Celho’s stuff at Pirate Coelho. [Uppdatering efter giget] Tack till en härlig grupp informatörer för en spännande förmiddag. Här är nu mina föreläsningsbilder (pdf). Lovade också direktlänkt till min bloggingguide och bloggindexeringstjänsterna knuff.se, intressant.se och technorati.com. Snabba pucker efter giget för Fleminsberg. där Akademiska hus var representerade bland deltagarna. Företaget har ju en ganska omfattande verksamhet, där den externa informationshanteringen är en viktig aspekt. Så dom bad direkt om en speciell inspiration/workshop just denna förmiddag. Även om mina erfarenheter då Företagsekonomiska institutionen på Stockholms universitet flyttade från Frescati till Kräftriket är blandade, så tror jag ändå att dom blir en värdefull idékälla (från mitt håll). Det här är ett helt öppet gig som arrangeras av Kommunikationshuset (framförallt Hasselgren, Netdoktorn och Magiq). Mellan 13 och 16 skall jag ”leverera en levande, frustrerande och dagsaktuell inblick i webbens utvecklingstendenser. Vi får se och höra om många fascinerande verktyg, praktikfall och praktiska råd när det gäller nya möjligheter och utmaningar.” Därefter blir det bubbel och mingel. Plats SUMMIT på Grev Turegatan i Stockholm. Hur skapar du bra kundrelationer på nätet? Handfasta råd för dig som arbetar med marknadsföring inom läkemedel och hälsa. Mer info och anmälan (950 kr) via eventet i Facebook eller Kommunikationshusets flyer (pdf). (Blir inte klok på varför event som jag föreläser på i Facebook inte dyker upp när man söker på mitt efternamn. Verkar vara så att det måste stå i rubriken. Knäppt). 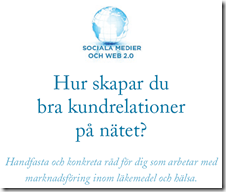 Via en inbjudan i Facebook till eventet Tillgänglighet 2.0 – the user experience får jag reda på detta heldagsseminarium som verkar mycket intressant. 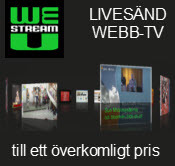 Key note är webbstrategen Per Axbom och i övrigt pluggar arrangörerna sina verktyg för talsyntes och liknande. Phoneticom, en av dom som står bakom seminariet, bjuder även in via inlägget Accessibility 2.0, the user experience. För mig är tillgänlighet viktigt och talsyntes har visat sig vara populärt även för att göra podcasts av bloggar, inklusive weconverse. Jag har anmält mig – vi kanske ses där? Is re-learning a masochistic venture? A few days ago Emilio Quintana sent me an e-mail regardging my gig next week at IPON 2008. Acccording to a Blogger profile he is a Profesor de ELE (Español como Lengua Extranjera) at the Instituto Cervantes in Utrecht, (Can not find him in the institutes web site, which is why I refer to other sources). [quick update] He is listed at their staff page. In his e-mail Quintana just kindly informed me about the blogpost Re-think Learning, Gatarski en Utrecht that he published January 13. Clearly Quintana is a spanish teacher, and his posts all over the web are in spanish. That is a nice challenge for me, who does not understand that fine language and argues that we are more important than I (am). From a knowledge perspective that argument implies that I do not need to know much – including spanish. (This is a way for me to challenge a dominant idea that education in school is about individal learning). Anyway, I immediately tried two automated translation services that I know (of). As a result we can read both the Babelfish version and the Google Translate version. Unfortunately the latters stops at a video embedded in Quintana’s post (a bug I guess). Therefore I took the remaining paragraphs and had Google Translate them separately. It also just happens to be so that one of my current students is Mexican, so I asked him too for a translation. I found it cool that Babelfish and Google did a pretty good job, my student did not add much (besides a kind of assurement). As I started to read I smiled of joy when my paper Marketing and Public Education: Mutual Benefits? was described as a ”classic”. Furthermore I appreciated the notion that watching my presentation at EDEN last year is not a waste of time (available as a video). Then I noticed a number of critical, and much valuable remarks, concerning my endevours. In particular a provocative one (I think). O eso, o los que lo invitan a abrir sesiones plenarias y la BBC Learning, que acaba de contratarlo como asesor para sus nuevos proyectos, son unos masocas y unos irresponsables. Or that, or those who invite you to open plenary sessions and the BBC Learning, which has just been hired as a consultant for their new projects are about masocas and irresponsible. First of all, BBC Learning has not hired me as a consultant, meaning to advice them on a continous basis. Rather they invited me to inspire, discuss (and provoce) a project team for one afternoon. Second, ”masocas”? I tried an handful of online dictionaries, but masocas was not there. Then I did some further searching and now guess it means masochistic – ”pleasure in being abused or dominated”. If so, that would make me a sadist :-). Of course I could have asked Quintana, but that would not be as fun, and as much learning, as publishing this post and see what happens. Whatever Quintana means, and I must really stress that I appreciate his sharing of thoughts, here is a fantastic opportuinity for me to explain that I have no intentions to let us suffer for the sake of suffering. But I am aware of that the implimentation of some of my ideas will cause pain. Just like when a dentist remove material decayed by caries from ones teeth. Rather, I try to navigate between at the gentle endpoint just hinting at what is going on (blogs might be better than books, see how fun the students have with it) while giving some anasthetics (it is not crucial yet). The tougher endpoint is stirring minds with all the power I can assemble. The latter was the case when I said ”forget school” at EDEN. I just assumed the audience to be more than ”un público 100% de profesores” . They were special. At least they should have deep insights in new technology for educational purposes. And many of them are already arguing that we have to do some fundamental changes. My suggestion is extreme, but I mean it – as a thing to fuel our minds. Generally my aim is to move the audience from ignorance to a strong sense of expectancy and frustration – not pain. In my view it is not masochistic and/or irresponsible to go to the dentist when one believes there might be a tooth related problem. But if the dentist suggests removing the tooth, and one believes (for good reasons) removal is a bad solution – simply complying is irresponsible. Are you complying? p.s. Listen to Business Week, where John and Stephen talk about Google’s Next Big Dream, including how Google developed their translation services. They ”forgot” how translations are made. d.s.